Today I'm doing things a little differently and giving you a sneak peak into the life of one of my coaching module clients. I'm so grateful to Lisa for being so vulnerable & sharing with us the work she is doing. To connect with Lisa find her on Facebook, Lisa Mcclellan. 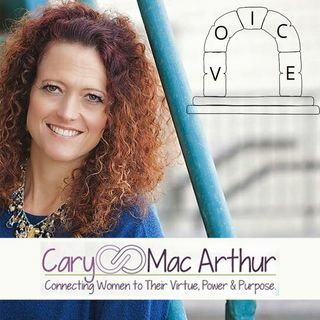 I love helping women connect to their virtue—their authentic self—and also come to know their power and purpose. This is what it means to Find Your VOICE.